Nice write up Rosie. I see that you are providing more articles besides your usual end of the month ones. That grilled red snapper looks amazing. How are the prices on the bottles of red wine. The web site has a wine list but no prices. Are there any nice bottles of red in the $30 range (or possibly under)? I normally only go to BYOs but might be willing to try it if the wine bottle prices were reasonable. 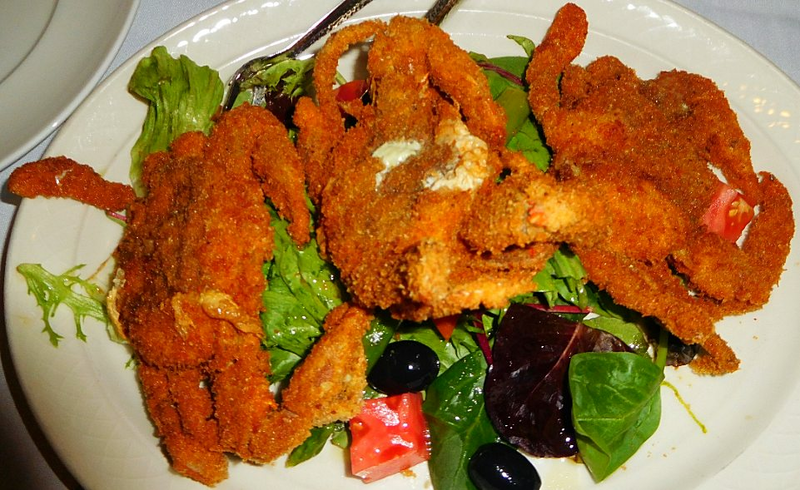 We went to Don Pepe II in Pine Brook on Friday, because we were in the mood for seafood. It was our first time at this 32 year old restaurant. This is not a place to go for ambience or service (which was very slow), but the food was fantastic. Rosie, thanks for putting this place on our radar. I guess the service is better at the steakhouse. We shared a fantastic, non greasy crispy fried soft shell crab entree as an appetizer. It came with three perfectly fried (and meaty) soft shell crabs. We got their garlic sauce on the side. For entrees we both had the amazing (and messy) twin whole lobsters stuffed with crabmeat, shrimps, and scallops. They came with perfectly crispy (and non greasy) handmade potato chips. The stuffing was very good. I think next time we will just order takeout, so we can enjoy a nice bottle of wine, and not the average 'Reserve' Malbec that we ordered. 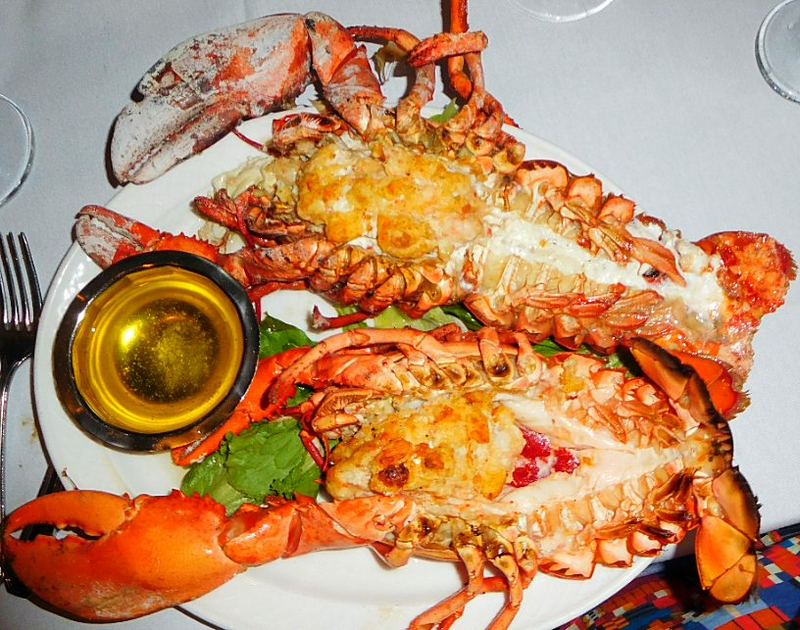 Also, the messy lobster is better to eat at home, than in front of company. Luckily they had lobster bibs and wash & dries. We had plenty of leftovers. I think the wine was $27. Have not been to Don Pepe II but the pictures look delicious. Writing every other week now. That's very reasonable. I'm not sure if they had your Tempranillo at Don Pepe II. If they did I would have ordered it. It sounded better than the Malbec I ordered. It also seemed like your waiter was better versed in the different wines, while mine was pretty much clueless. Thanks. The twin stuffed lobsters were delicious, and the 3 huge crispy fried soft shell crabs were a relative bargain at $25.95 ($8.50 a crab). You can probably get the same items at the Steakhouse, with better, more knowledgeable service. The menus seem almost identical and they are only a few minutes apart. I'm glad to see that you are contributing more to Table Hopping. I missed your articles. It seems like Andrea Clurfeld has left, and Emily Bell (or a bunch of other contributors have replaced her). Andrea was a pretty rough critic, and mainly talked about Central Jersey restaurants, since she was from the Asbury Park area. I miss the North Jersey reviews. Looks and sounds very nice...thank you all for the info and your insight.